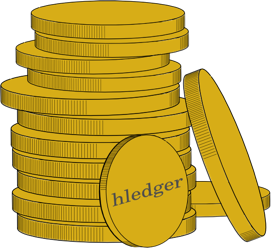 hledger is an elegant, versatile accounting program, for tracking money, time, or other commodities using plain text records. It is a fast, dependable, secure alternative to Quicken, Xero, GnuCash etc., accessible from command line, terminal or web browser. Compared to other plain text accounting tools, it is more robust and intuitive. Good docs and real world usefulness are a top priority. hledger is cross platform GNU GPLv3 free software, written in Haskell. The project is led by Simon Michael, with 100+ contributors. I've been building and relying on hledger since 2007; I hope you too will find it helpful in mastering your time and money. Let us know! Tracking your use of valuable commodities, such as money or time, for increased awareness and effectiveness. Using plain text data formats and version control for reliable, transparent accounting. What's new in each hledger version. Making good software and documentation costs a lot.